the North Sea. 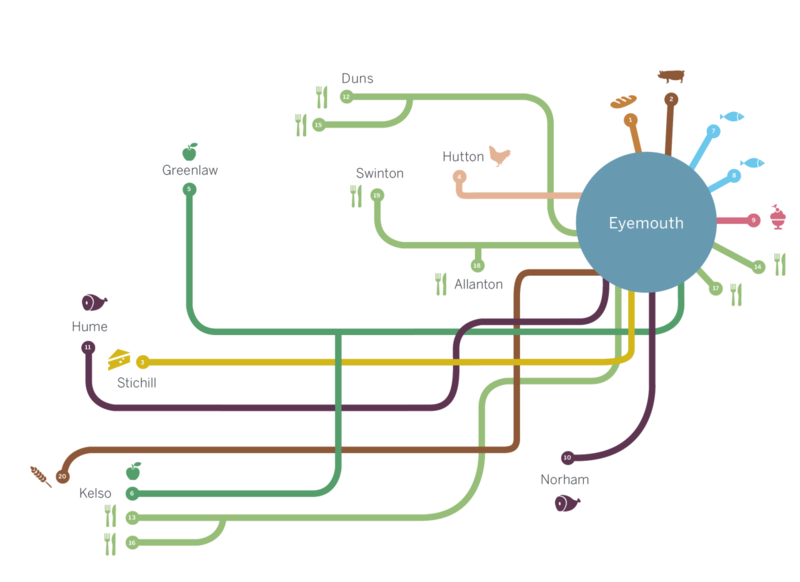 Eyemouth is home to Giacopazzi’s famous fish and chips and award winning ice cream – great seaside food! Travelling inland towards the market town of Kelso, there are plenty of opportunities for tea and scone stops along the way in Duns, Allanton or Swinton – with chances to call at traditional butchers, bakers, buy charcuterie and cheese, or indulge in something sweet as a treat!